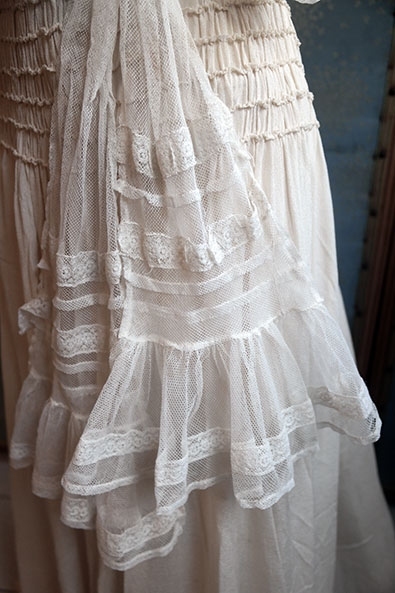 Lovely antique Edwardian or late Victorian tule and lace waistband, ca. 1900. 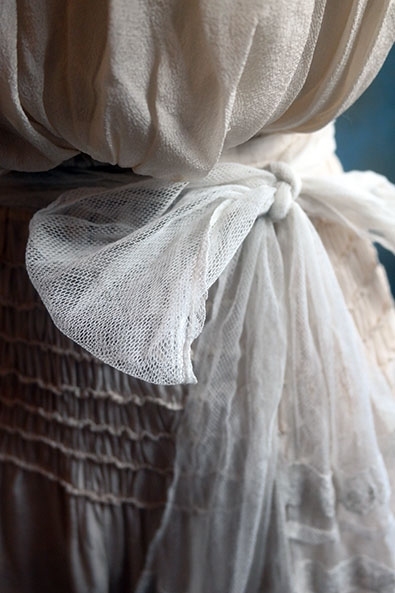 Made of white cotton tule with large ruffles and lace at both ends. Has a good length of around 200 cms, so it can be tied in a nice large bow. Has a couple loose stitches where the lace is sewn on, easy to repair. No significant damage.